The 8,060-byte maximum row size limit is, perhaps, one of the biggest roadblocks in widespread In-Memory OLTP adoption. This limitation essentially prevents you from using (max) data types along with CLR and system data types that require off-row storage, such as XML, geometry, geography and a few others. Even though you can address this by changing the database schema and T-SQL code, these changes are often expensive and time consuming. When you encounter such a situation, you should analyze if LOB data types are required in the first place. It is not uncommon to see a column that never stores more than a few hundred characters defined as (n)varchar(max). Consider an Order Entry system and DeliveryInstruction column in the Orders table. You can safely limit the size of the column to 500-1,000 characters without compromising the business requirements of the system. Another example is a system that collects some semistructured sensor data from the devices and stores it in the XML column. If the amount of semistructured data is relatively small, you can store it in varbinary(N) column, which will allow you to move the table into memory. Unfortunately, sometimes it is impossible to change the data types and you have to keep LOB columns in the tables. Nevertheless, you have a couple options to proceed. As you can guess, in this scenario, it is impossible to change the data types of the Picture and Description columns, which prevents you from making the Products table memory-optimized. However, you can split that table into two, as shown below. The Picture and Description columns are stored in an on-disk table while all other columns are stored in the memory-optimized table. This approach will improve performance for the queries against the ProductsInMem table and will allow you to access it from natively compiled stored procedures in the system. Unfortunately, it is impossible to define a foreign key constraint referencing a memory-optimized table, and you should support referential integrity in your code. We have already looked at one of the possible approaches in my previous blog post. 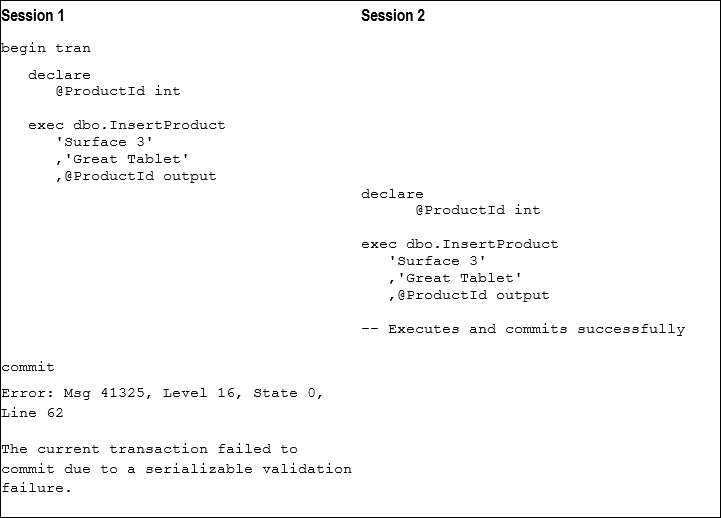 You can hide some of the implementation details from the SELECT queries by defining a view as shown below. You can also define INSTEAD OF triggers on the view and use it as the target for data modifications; however, it is more efficient to update data in the tables directly. As you should notice, the view is using an outer join. This allows SQL Server to perform join elimination when the client application does not reference any columns from the ProductAttributes table when querying the view. For example, if you ran SELECT ProductId, ProductName from dbo.Products, you would see the execution plan as shown in Figure 1. As you can see, there are no joins in the plan and the ProductAttributes table is not accessed. You can use a different approach and store LOB data in memory-optimized tables, splitting it into multiple 8,000-byte chunks. You can use the table similar to what is defined below. Listing below demonstrates how to insert XML data into the table using T-SQL code in interop mode. It uses an inline table-valued function called dbo.SplitData that accepts the varbinary(max) parameter and splits it into multiple 8,000-byte chunks. 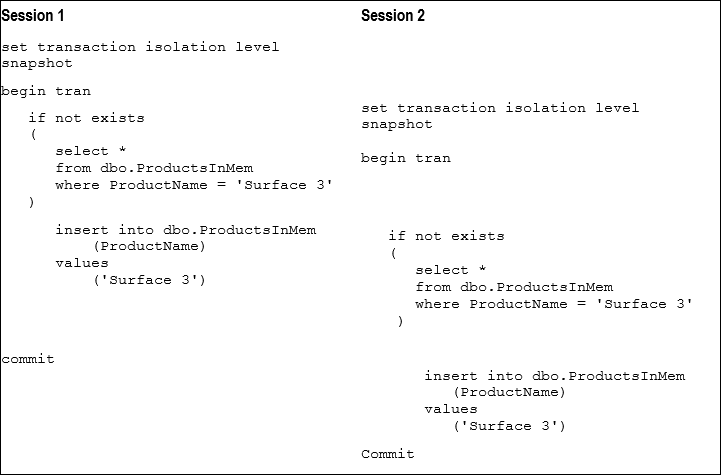 On the side note, dbo.SplitData function uses recursive CTE to split the data. Do not forget that SQL Server limits the CTE recursion level to 100 by default. You need to specify OPTION (MAXRECURSION 0) in the statement that uses the function in case of very large inputs. Figure 2 shows the contents of the LobData table after the insert. You can construct original data using FOR XML PATH method as shown below. Alternatively, you can develop a CLR aggregate and concatenate binary data there. The biggest downside of this approach is the inability to split and merge large objects in natively compiled stored procedures due to the missing (max) parameters and variables support. You should use the interop engine for this purpose. However, it is still possible to achieve performance improvements by moving data into memory even when the interop engine is in use. This approach is also beneficial when memory-optimized tables are used just for the data storage, and all split and merge logic is done inside the client applications. I will show you such an example in my next blog post. 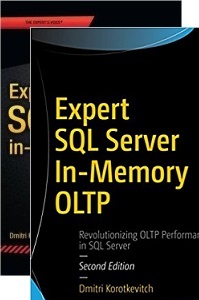 This entry was posted in Client Development, SQL Server 2014 and tagged In-Memory OLTP on August 18, 2015 by Dmitri Korotkevitch. I just want to share that APress is running Independence Day eBook sale now. 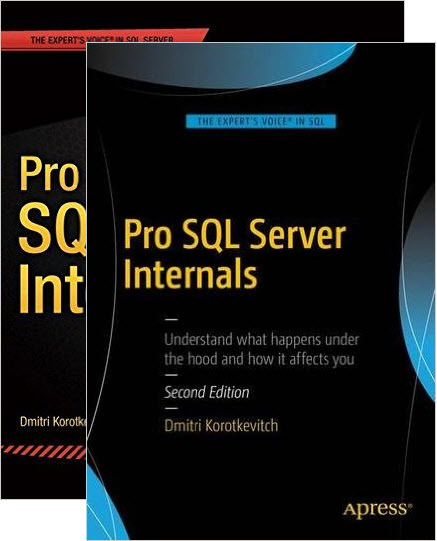 You can buy the copy of “Pro SQL Server Internals” eBook for $17.76 from their web site. The sale ends on July 22nd, 2015. You can read the reviews at Amazon. I would also appreciate if you post a short review at Amazon. It would help me to convince APress to publish the 2nd edition with SQL Server 2016 content. 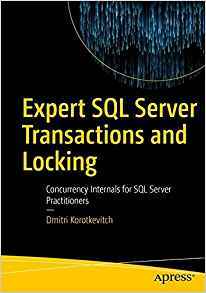 This entry was posted in Announcements and tagged books, Pro SQL Server Internals on July 1, 2015 by Dmitri Korotkevitch.